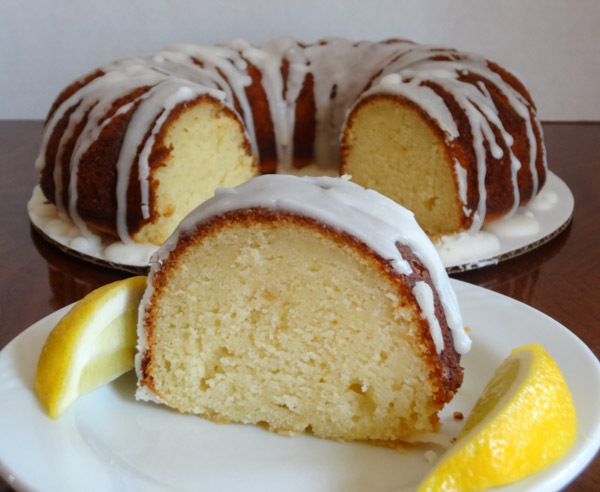 Lemon Ricotta Bundt Cake consists of a moist, fluffy cake made with butter and ricotta. It is topped with a lemony glaze. A great tasting cake that is easy to make. This lemon ricotta bundt cake comes out so moist and light tasting. Even though the cake has fresh-squeezed lemon juice and lemon zest in the recipe, the flavor of the cake is very subtle thanks to the addition of the ricotta. 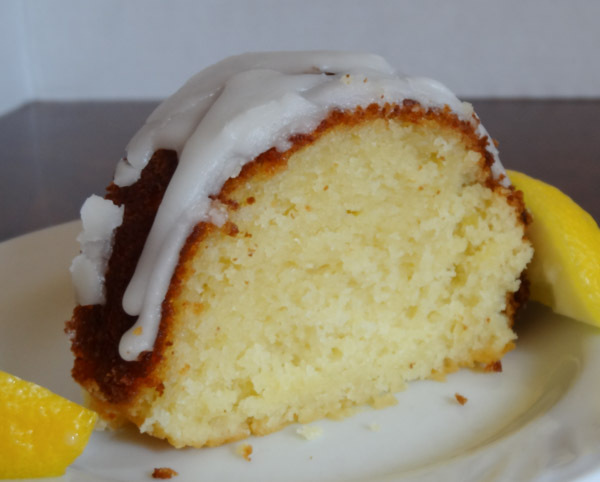 If you’re looking for a bundt cake with loads of lemon flavor, I’d highly suggest you check out my recipe for super lemon bundt cake. My inspiration for this recipe came from the site at thisdelicioushouse.com. 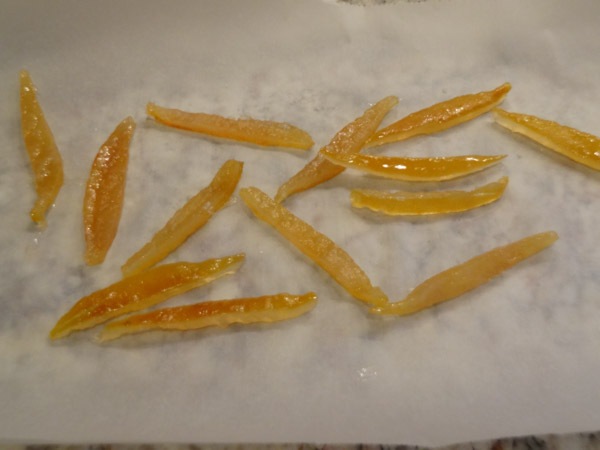 The original recipe included candied lemon peels. Have you ever heard of these? I did a little research and discovered that they are essentially boiled lemon rinds coated in sugar water. If you don’t cook them long enough, they taste bitter. I found I had to simmer the rinds for almost an hour and I found them too hard and chewy, so I omitted them from this recipe. Do you like pound cake? 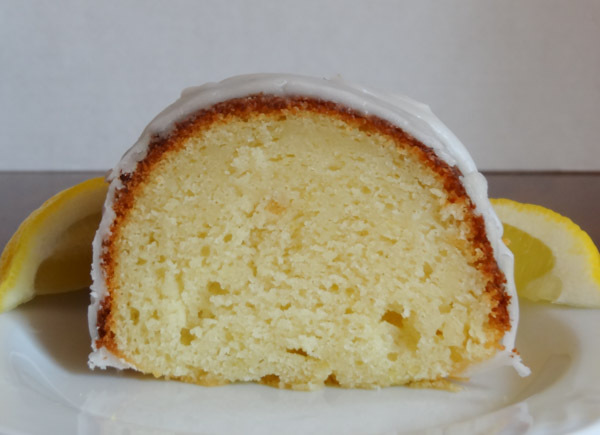 I think this lemon ricotta bundt cake has a similar taste to a pound cake, but definitely not as heavy. 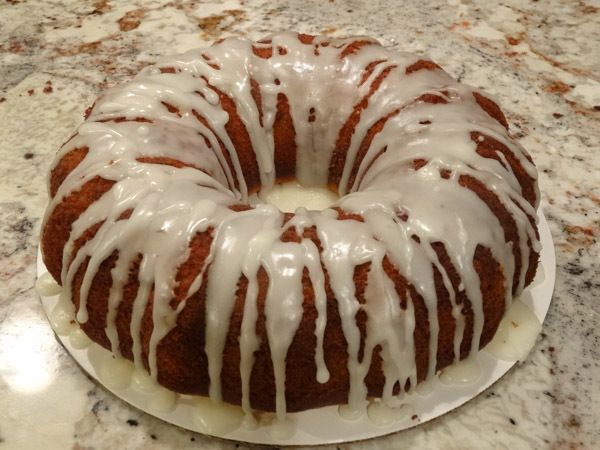 I don’t know about you, but I think bundt cakes can be very hit or miss sometimes. I’ve found bundt cakes can be on the dry side, but not this cake. You will be impressed if you give it a try. 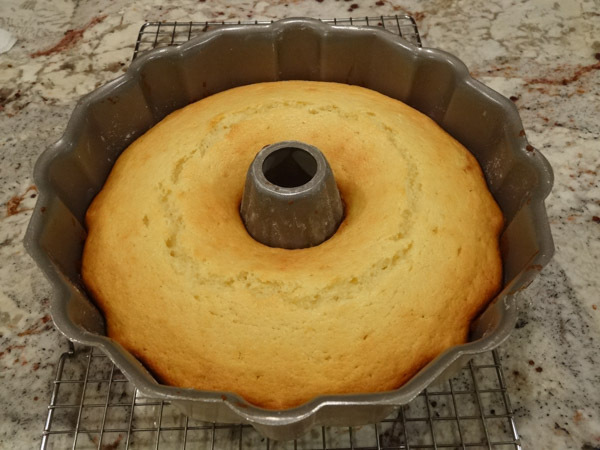 Grease ten-inch bundt pan very well with butter or vegetable oil. Make sure to get in between all the grooves of pan. Lightly flour and set aside. Scrape outside of lemon with grater to make lemon zest. Set aside. Slice two to three lemons and squeeze lemon juice into small bowl or measuring cup. You’ll want to make sure you have enough for the glaze as well. Set aside. 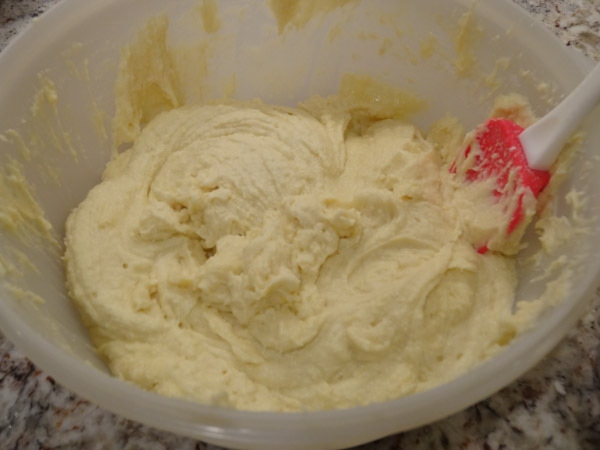 In large bowl, blend butter and granulated sugar together with an electric mixer on medium speed for at least 3 minutes. Add in ricotta and blend until well combined. Add eggs, one at a time, blending until well-combined. Add in lemon juice, lemon zest, and vanilla extract. Add in flour, baking soda, and salt. Blend just until ingredients are combined. Batter will be on the thicker side. 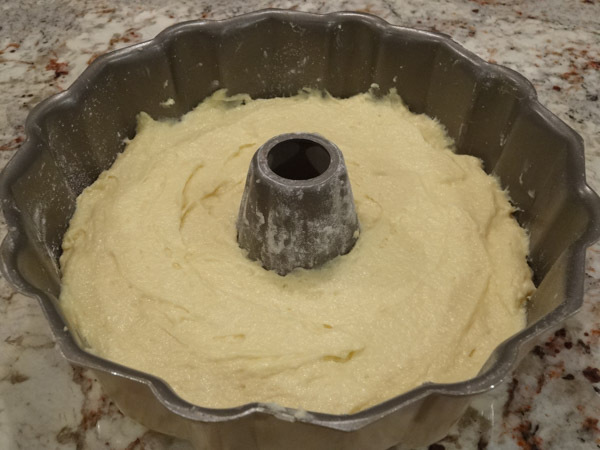 Spoon batter into the prepared 10-inch bundt pan. Use spatula to smooth out top as needed. When I first flipped this cake, nothing happened and I thought for sure it was stuck. I gave the pan a couple of thumps on the outside and it came right out. Use a small saucepan to make the glaze. Add in powdered sugar and fresh-squeezed lemon juice. Stir over low heat until mixture turns into thin liquid form. 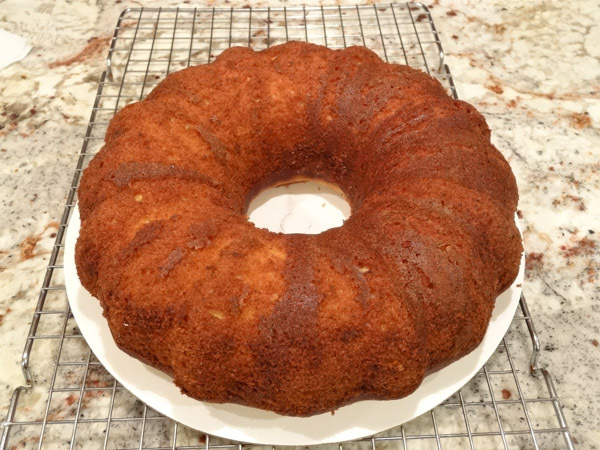 Preheat oven to 350 degrees F. Grease ten-inch bundt pan very well and lightly flour. Set aside. 2. Use grater to zest lemon into small bowl. Set aside. Slice lemons and squeeze juice into small bowl or measuring cup. Set aside. 3. 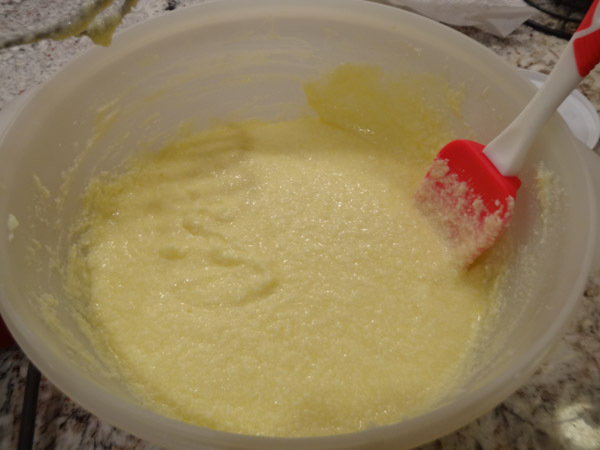 In large bowl, combine butter and granulated sugar together with an electric mixer on medium speed for 3 minutes. 4. 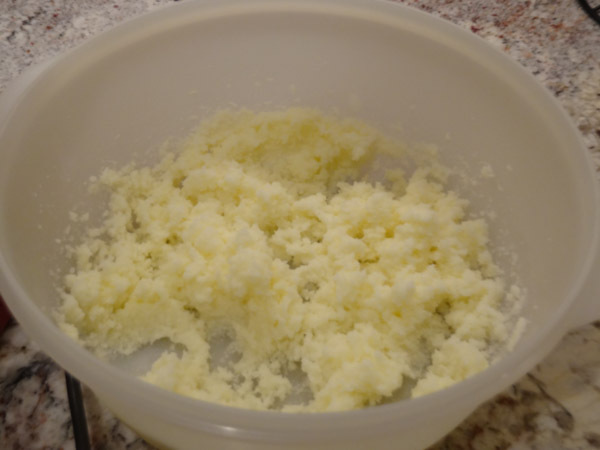 Add in ricotta followed by eggs, one at a time, blending until well-combined. 6. 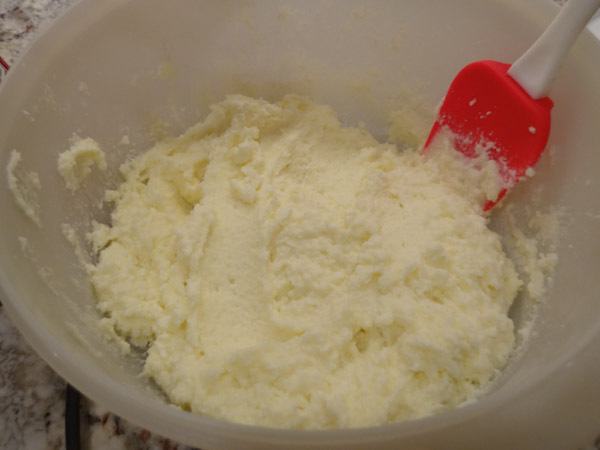 Spoon batter into prepared pan. Use spatula to even out top. Bake for 45 to 50 minutes or until edges are golden brown. Toothpick inserted into center of cake should come out clean. 7. Remove pan to wire rack to cool for at least 20 minutes. Use small spatula to skim along edges of pan. Invert cake onto wire rack or cake plate. In small saucepan, add in powdered sugar and fresh-squeezed lemon juice. Stir over low heat until thin liquid forms. 2. Drizzle glaze over cooled cake.